As an increasing number of project owners seek to incorporate green building processes in their projects, Mock Plumbing & Mechanical, Inc. has stayed at the forefront of this growing trend. 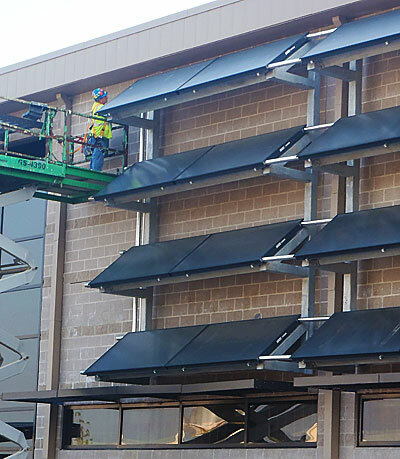 We work closely with general contractors, owners and LEED professionals to help create buildings that will meet the highest standards of sustainability. Combining today's green technology with the technical expertise of Mock's plumbing and HVAC professionals can help create highly efficient LEED-certified green buildings. Mock's team also has hands-on experience with the latest green building products and understand both the pros and cons of various construction materials. At Mock, we not only believe in building green projects for clients, but we also believe it is important for us as a firm to be environmentally responsible. We do our part to recycle construction materials on jobsites and in our shop facility, and we seek to reduce our carbon footprint through energy conservation measures on a day-to-day basis.